NHS hospitals have been accused of being “stubbornly attached” to fax machines as an FOI investigation revealed trusts own almost 9,000 of them. FOI requests made by the Royal College of Surgeons (RCS) show that NHS hospital trusts in England own a total of 8,946 fax machines, which entered widespread commercial use in the 70s and 80s. Newcastle upon Tyne NHS Foundation Trust relies on an astonishing 603 fax machines, with Barts Health NHS Trust owning 369 and Stockport NHS Foundation Trust having 250. A table showing the five trusts which own the most fax machines can be found below. “The advances we are beginning to see in the use of artificial intelligence and imaging for healthcare, as well as robot-assisted surgery, promise exciting benefits for NHS patients. As the RCS’s Commission on the Future of Surgery is discovering, there is so much more to come. Yet, alongside all of this innovation, NHS hospital trusts remain stubbornly attached to using archaic fax machines for a significant proportion of their communications. This is ludicrous. 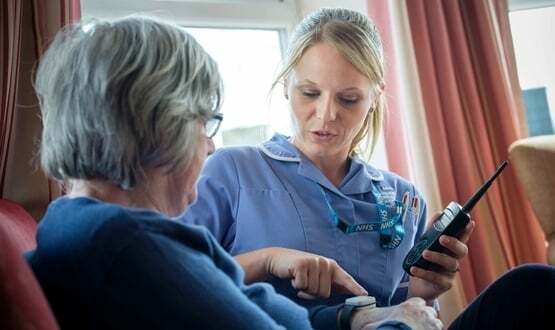 In a recent feature, published in June 2018, Dr Jonathon Bloor explored the possibility that the introduction of a “WhatsApp-style” instant messaging service for NHS workers could help the address “the use of pagers and fax machines as primary forms of clinical communication”. I work in hospital Pharmacy, and our issue is much less communication with GP surgeries, but mostly as we need to transfer information to, and from, community pharmacies, which are under no obligation to have secure email addresses and we have to work to the lowest common denominator. Big firms such as Boots and Lloyds are all very well, but some are independent local pharmacies. Until we can guarantee that ALL possible community pharmacies have a secure email address, we cannot use this as a method. We obviously have a demand for sending documents, faxes,post and email are outdated. Why don’t we have an alternative? I feel your pain, very common problem. XMedius have developed a very simple Secure File Tranfer solution which is being piloted now within the NHS. SendSecure allows you to send documents and files to any email address SECURELY. If you can supply me with a contact, I will be happy to show them SendSecure. NHS hospitals and GPs do not have the money to invest in the tech required to get rid of fax machines, but in my honest and personal opinion this is not their fault but the fault of leading NHS ORGs that are working at the national level. But NHS email has a SECURE option which I thought was for sending to accounts outside NHS.NET. Is that not, er, secure? And we only keep a fax machine in our hospital for the GP’s who can’t send via ERS. Swings and roundabouts. Number of outbound faxes send ZERO. That’s our ultimate goal! We have a daily fight with our GPs who still think faxing is the way to go. Our secretaries are slowly getting them to realise using advice and guidance on ers is quicker, it’s just a pity that there are a limited amount of services in our area that are available in that way. I’ve come into GP practice from outside and I’m still amazed by some of the archaic processes used and the heavy reliance on everything being in a paper format. Fax, as you already know, has evolved significantly over the years. With fax software solutions, it is now very easy to send a fax from a secure web page or an email client such as Microsoft Outlook by choosing a fax number instead of an email address. The content of the fax is routed electronically as an email, without ever being printed on a paper medium. It can then be easily filed or archived in a network or on a server. Traditional fax is still widely used in healthcare sectors around the world because of its high security and the proof of receipt. Indeed, it is almost impossible to manipulate the contents of a fax and intercept it, while an email can be intercepted quite easily. With the introduction of the EU General Data Protection Regulation (GDPR), data controllers in the NHS need to ensure they are handling and processing patient information securely. An additional benefit of using fax to is that it allows staff to send signed documents securely, which could be submitted in a court of law if needed. The use of email is widespread, but at the same time it is unwise to send certain types of documents containing “sensitive” information in some industries such as a credit card numbers, bank account information, etc. People may not realise it, but this type of information is very valuable to fraudsters and allows them to easily duplicate an identity. 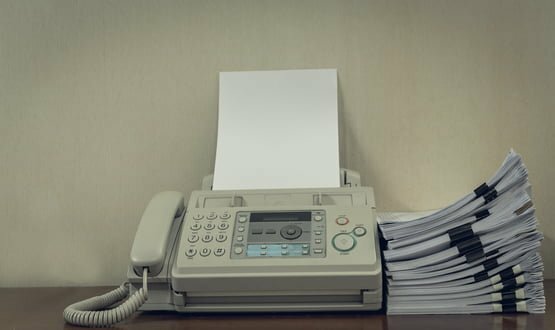 Although fax may seem like an archaic technology, it’s a proven point-to-point communication technology that is difficult to intercept, very easy to use, secure, and still ubiquitous in several key sectors of the global economy. The NHS must evolve and embrace the digital age, but it must ensure the confidentiality of patient information at all costs. Choosing a secure alternative to traditional fax is something that requires great caution. Hmmm… well I’m not sure I really agree here. Whilst you may be right about the ease or difficulty of intercepting faxes – I think it is really stretching it to say that they are ‘high security’. There is little or no security, and of course at the receiving end the faxes tend to just sit on the machine where anyone can pick them up. This is mitigated somewhat by using electronic faxes, but then you are perversely using a digital system to convert to analogue, then back to digital again. You could have much more easily used a secure email, which is readily available at least within the NHS. Courts are not keen on copied documents and I don’t think faxed document would necessarily be admissible in evidence. So really I don’t think we should be defending faxes in this day and age. I think it is actually small businesses (such as GP surgeries and solicitors) who are the problem here, the big corporates (ie the Trusts) only have them because their ‘customers’ insist on it! I wonder why they didn’t ask why the Trusts still had to use fax machines? My own Trust had to halt the removal and destruction of all Fax machines because local CCGs insisted we received referrals by fax and sent them our discharge letters and discharge summaries via fax because they were compatible with Docman which transferred the fax straight into the practice system. We did try using the NHSmail fax gateway as a pilot but at the time that was slower than conventional faxing and would have involved retraining all concerned. Our new EPR promised full interoperability so we thought this would only be a temporary fix. When both ends are using Fax over IP (FoIP) there is no security issue at the receiving end since there is NO paper. The problem with secure email, is that both parties need to have an account on the same system, a bit more difficult to deploy and implement across the bard. Fax is still heavily used in some sectors because it is ubiquitous, easy to deploy and really secure. Whilst it may well the hospitals that are getting the stick here, the only reason that they have them is that other people are wanting to either send or receive faxes. It is often GP practices that are doing this, I have certainly had problems in the past with getting GPs to correspond via email. Having said all that, we have generally dealt with the problem by simply refusing to send or receive faxes. People adapt very quickly to this and a strongarm approach is probably the most likely to succeed. Try that in my neck of the woods and your Trust income would plummet as this was linked to a CQUIN target! On the positive side, it would be nice to know how many, if any, trusts had zero fax machines. I was waiting for four hours in a hospital reception whilst they waited for a fax to be sent from my GP. I rang my GP surgery a couple of times to progress at that end and they assured me it had been sent.